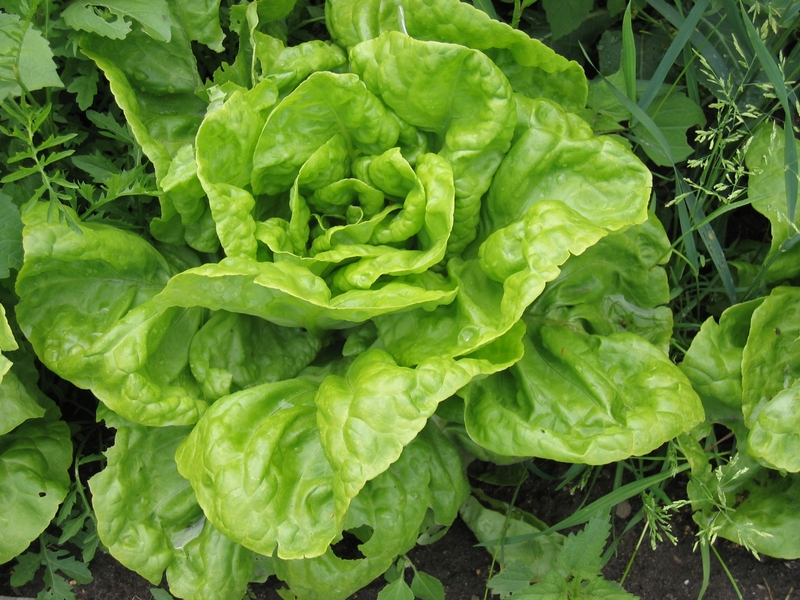 If you like lettuces and baby green mixes like mesclun but hate that they wilt so fast, you might want to consider growing greens yourself. Growing greens is easy. You can plant greens in the garden, in a pot on the patio and even indoors in a sunny window. There are numerous types of mixed greens seed packets at any garden center and even at your local grocery store. Look for cut and come again for greens that keep growing even after they’ve been harvested. Simply sprinkle your seeds over a pot of soil and lightly dust with top soil and a light mist of water. Place in a sunny area and you’ll have baby lettuce leaves popping up in no time. Most greens like cooler weather so shade your crop when the summer gets hot. If you don’t purchase cut and come again seeds, make a new seed planting every three weeks for fresh greens throughout the summer. Plant a batch indoors in winter and you’ll be rewarded with fresh organic greens all winter long. Some of my favorite greens are baby spinach, arugula and pea tendrils. You can use most any green as a base for a delicious salad. You can also lightly saute greens for a side dish or add to a winter soup. Try growing greens, you’ll be rewarded with a batch of delicious, fresh and organic produce.